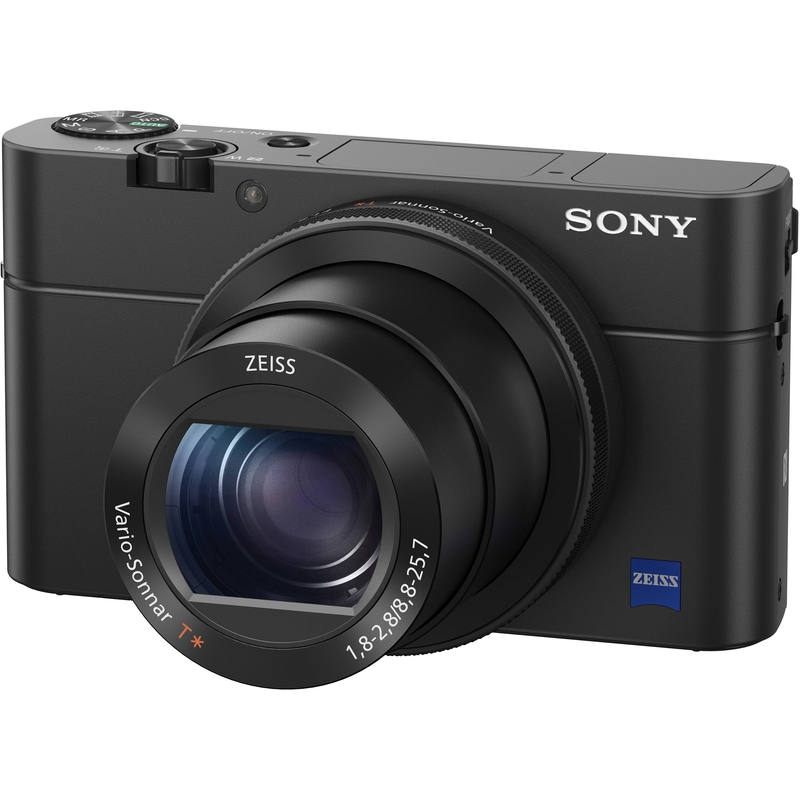 The Sony Cyber-Shot RX100 IV brings the world's first stacked Exmor RS 1.0 type CMOS sensor with a DRAM memory chip 40x super slow motion capture 4K video shooting and high-speed anti-distortion shutter in a pocket-sized point-and-shoot. This new sensor improves the overall AF performance speed and enables users to capture fleeting moments of action with stunning detail resolution and clarity with ease. The RX100 IV maintains the compact design of the RX series making it ideal for day-to-day shooting and has a Zeiss Vario-Sonnar T* 24-70mm (35mm equivalent) f/1.8-f/2.8 lens.